Our heart teachers are Lama Thubten Yeshe and Lama Zopa Rinpoche, under the guidance of His Holiness the Dalai Lama. 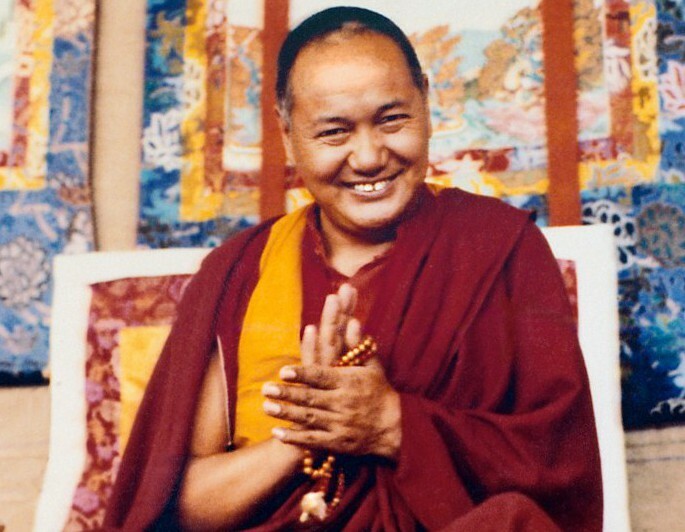 Lama Yeshe, Kopan Monastery, Nepal, 1980. Photo Lama Yeshe Wisdom Archive. Click here to read more about Lama Yeshe. Lama Zopa Rinpoche in Portland, Oregon in 2006. Photo John Berthold. 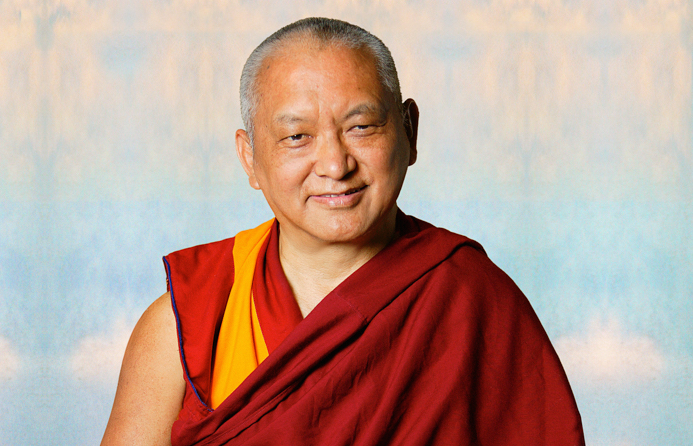 “Lama Zopa Rinpoche is a Tibetan Buddhist scholar and meditator who for 30 years has overseen the spiritual activities of the extensive worldwide network of centers, projects and services that form the Foundation for the Preservation of the Mahayana Tradition (FPMT) which he founded with Lama Thubten Yeshe. “Rinpoche’s vision is vast and includes the proliferation of many charitable and beneficial activities. Among many projects dear to Rinpoche’s heart are the two Maitreya Projects: under Rinpoche’s guidance, FPMT plans to build two large statues of the future Buddha, Maitreya, in Bodhgaya and Kushinagar in India; The Sera Je Food Fund, which offers three vegetarian meals a day to all 2,500 monks studying at Sera Je Monastery in south India; Animal Liberation events around the world, at which creatures, big and small, are freed from immediate harm or blessed every year– the total number of animals liberated to date (by Lama Zopa Rinpoche or those inspired by him) is over 200,000,000 and counting! Rinpoche is also utterly dedicated to fulfilling the wishes of His Holiness the Dalai Lama wherever and whenever possible. “Rinpoche’s kindness is legendary. More details of Rinpoche’s ongoing philanthropy can be followed through the Lama Zopa Rinpoche Bodhichitta Fund News. Gonpo Ludup is an FPMT study group. The Foundation for the Preservation of the Mahayana Tradition (FPMT) is a worldwide network of Buddhist centers and activities founded by Lama Thubten Yeshe, and under the spiritual direction of Lama Zopa Rinpoche. We aspire to bring Tibetan Buddhist teachings of Lama Yeshe and Lama Zopa Rinpoche to Southern California. FPMT study groups are groups which are using this status as a probationary period before a group becomes a legal entity and a full FPMT center. FPMT Study Groups are not yet affiliated with the FPMT, and therefore do not have the same responsibilities as a center, financially or administratively. FPMT Study Groups are required to work towards becoming an FPMT center within a period of two years.